Unai Emery has been appointed as the new manager of Arsenal, the club announced on Wednesday. 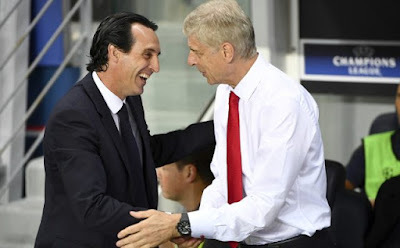 Emery succeeds Arsene Wenger, who left Arsenal at the end of the season after 22 years in charge. “Unai has an outstanding track record of success throughout his career, has developed some of the best young talent in Europe and plays an exciting, progressive style of football that fits Arsenal perfectly,” said chief executive Ivan Gazidis. “I am thrilled to be joining one of the great clubs in the game,” said the new Spanish boss.